Recently, Onalytica ranked me number 35 in their list of the 100 top influencers in growth hacking. I’m flattered, but I have to be honest – all I did was great content on the subject and ask the right questions. There’s a lesson here on how being present is 80% of success, and we’ll come back to that. For now, I want to share with you some resources that made me so “influential”. Okay, so this article didn’t get me on this list, but following a lot of the people listed is exactly what got me on this list. I’m particularly fond of #35, but there is not a single person on this list whose knowledge cannot benefit you in a major way. These people are dropping knowledge jewels – all you have to do is pick them up. If I was listing in order of importance, and not just going through my constantly open tabs, this would be the obvious number one. GrowthHackers is one of the best places to share, find, and discuss content on the web. In fact, it’s highly likely that I found everything else on this list through GrowthHackers. I’ve been a fan of Ryan Holiday for years. I first heard of him when he was on a podcast (maybe The Art of Charm?) discussing his book The Obstacle is The Way. This was my introduction to Stoicism, and I was hooked. I’ve since found that Buddhism is a better fit, but I’m still a follower of Ryan – I received his latest Suggested Reading List email as I wrote this post and Trust Me, I’m Lying is next up in my reading queue. Strangely, I didn’t know about this book or the accompanying course until I read about it on GrowthHackers (I told you they were awesome). If you want a great introduction to Growth Hacking or are looking for some pointers to up your game, I can’t recommend the course enough (when I signed up, I got the book for free). Growth Hacking requires that you measure the results of your efforts and adjust accordingly. 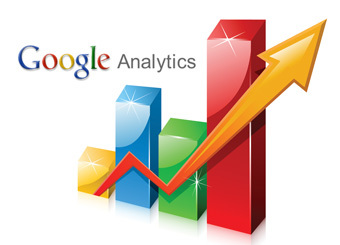 While there are several analytics tools out there, Google still has the gold standard. ConversionXL has a great guide on configuring your Analytics account for actionable data. Some people prefer Coursera, and free is definitely a great selling point. However, I’ve found that the courses on Udemy have more actionable content and are more than worth their cost. Even better, Udemy often has specials where the classes are discounted up to 90%. Right now, I’m taking classes on content creation, full-stack programming, and almost every language known to man. Let’s be real. It doesn’t matter how much you read about a subject. If you never put it into action, that knowledge is just going to drift away. Working in Internet Marketing for the IRON Network and Pine Biotech on behalf of our clients to use these ideas has been invaluable. I have a big challenge coming up when we launch Local Crowd Fund. In brief, LCF will be a platform to connect small business owners and startup founders with courses in what they need to succeed, service providers to help with the things they don’t have the time or inclination to do themselves, mentors to lend them knowledge and advice, communities to help them find marketplaces for their ideas, and lenders and investors to help them fund their dreams. Local Crowd Fund is still in a beta stage right now, but I strongly urge everyone to sign up. This is your chance to heavily influence a platform into being exactly what you need. I’m working on giving early adopters special perks – you can have a voice in what those are, too. Service providers, subject matter experts, lenders, investors, community leaders, business owners, and startup founders can sign up for the LCF beta at beta.localcrowd.fund. What are your favorite resources, growth hacking or otherwise? Comment and share, I’m always on the hunt for knowledge! This entry was posted in Curated Content, Growth Hacking and tagged Analytics, Coursera, Google, Google Analytics, growth hacker marketing, growth hacking, IRON, local crowd fund, onalytica, pine biotech, ryan holiday, udemy. Bookmark the permalink.